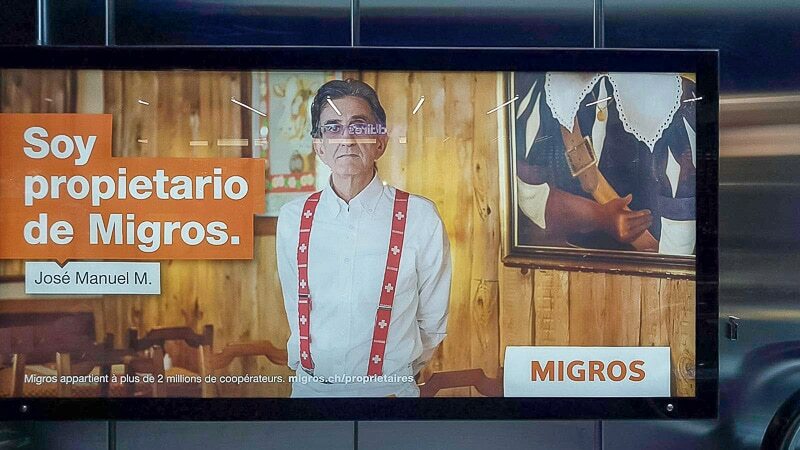 For its latest advertising campaign, Migros has chosen to have portraits of dozens of Swiss citizens taken across the whole country. 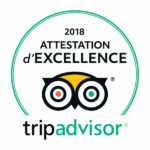 This is why you might happen to see a picture of one of our waiters, José Manuel, proudly wearing his Auberge de Savièse colors on one os the buses or walls in the city. This is not a good quality shot as it was taken through a window as a bus was passing, but we’ll try to get a better one in the coming days.